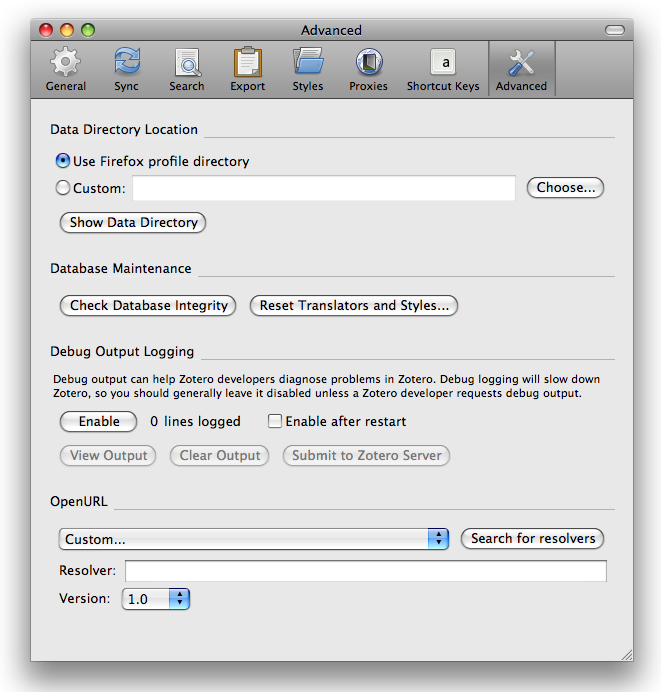 Zotero is a Firefox extension for collecting and managing bibliographic references. You can use Zotero to capture citations from BioStor, and you can also link to references in BioStor from within Zotero using OpenURL. Note that the instructions below assume that you are using version 2.0 or Zotero. Zotero can detect when a BioStor page contains bibliograpic information, and you can import that information into you Zotero library in the normal way (see the Zotero page Getting stuff into your library). In the section labelled OpenURL set Resolver to http://biostor.org/openurl.php. 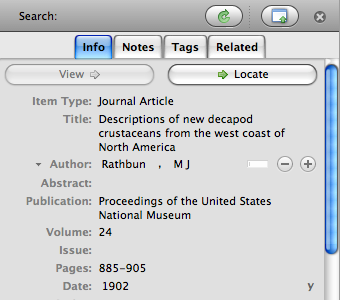 To use OpenURL linking within Zotero, view a reference and then click on the Locate button. 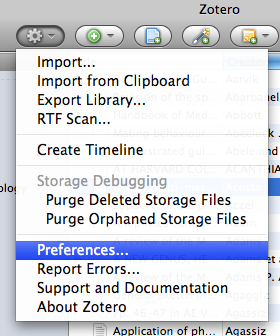 Zotero will display the result in your Firefox browser window.